47B, 100& acrylic. 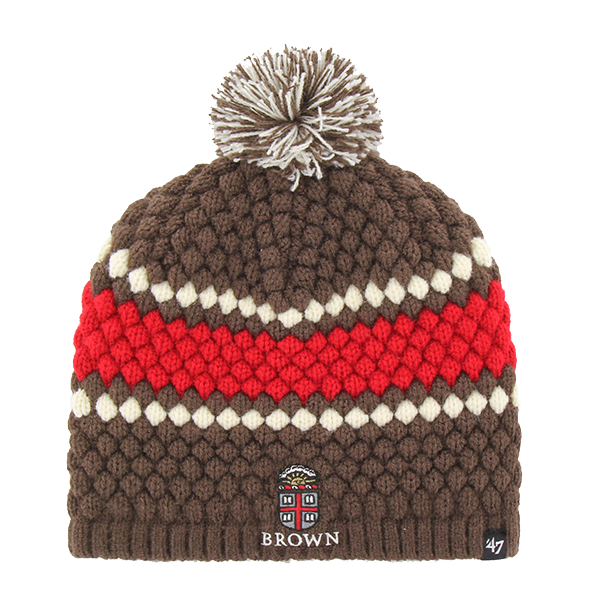 Woven fabric brown colored beanie with one large red stripe and two smaller white stripes, brown and white thread pom on top. Features embroidered Crest in black, white, grey, cardinal, and gold above 'BROWN' embroidered in white lettering. 47 Brand, 100% acrylic. Woven fabric, brown colored headband with red stripe with white outline stripes. Features Crest embroidered in black, white, grey, cardinal, and gold above 'BROWN' embroidered in white lettering. 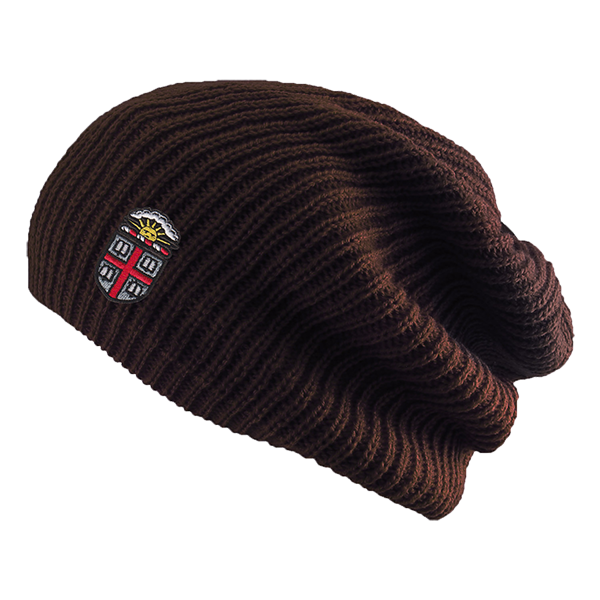 Please select option for Logofit Crew Beenie. Please select option for Logofit Elkhorn Hat. 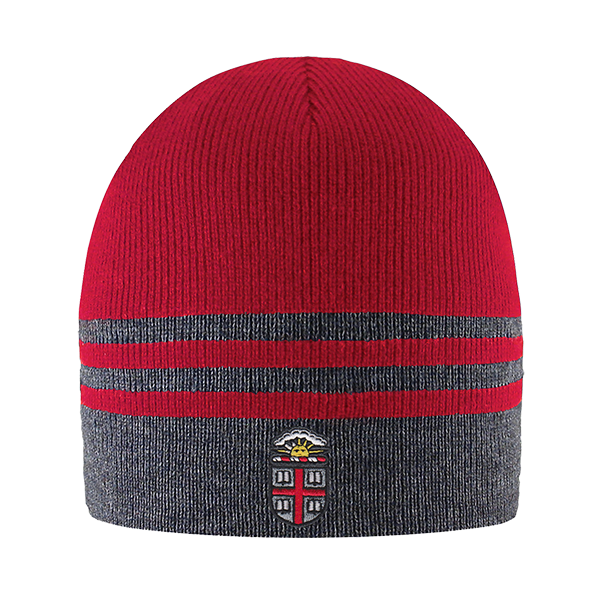 Please select option for Logofit Hipster Knit Hat. 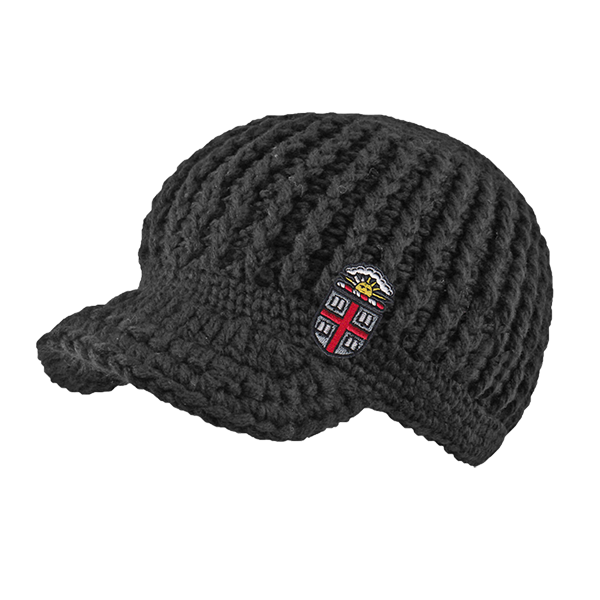 Please select option for Logofit Posh Brimmed Knit Hat.